England and India are set to play a five-Test series for the first time since 1984-85 when they lock horns for the Pataudi Trophy, which is the trophy given to the winner of the series between these two nations played in England. The last time India played a five-Test series in England was in 1959. This will be the first five-Test series besides the Ashes since England’s series in the West Indies in 2008-09. From now on, all series between England and India – countries with the two wealthiest cricket boards – will consist of five Tests. The series starts off with the opening Test at Trent Bridge in Nottingham from July 9-13, followed by the Lord’s Test from July 17-21. The third Test will be played from July 27-31 at the Rose Bowl in Southampton, where India have never played a Test before. The final two Tests will be played back-to-back – the fourth Test at Old Trafford, Manchester from August 7-11 followed by the traditional final Test at the Oval from August 15-19. Nottingham was where India’s last Test win in England was achieved, in 2007. India have an abysmal record at Lord’s – ten losses and one win in 15 Tests. At Old Trafford, India have never won and lost thrice in eight attempts. At the Oval, India have one win and three defeats from 11 Tests, with as many as seven games being drawn. England enjoy playing at Old Trafford – they have won six and lost just one (in 2001 to Pakistan) in their last ten Tests there. At Nottingham too, the hosts have won all of their last five Tests with the latest defeat being the aforementioned one against India in 2007. At Lord’s, England have lost only to Australia and South Africa (twice each) since 1999. At the Oval, they have won and lost twice each in their last five Tests. England (first Test) – Alastair Cook (captain), Sam Robson, Gary Ballance, Ian Bell, Joe Root, Moeen Ali, Matt Prior, Chris Jordan, Stuart Broad, Liam Plunkett, James Anderson, Ben Stokes, Chris Woakes. For the first Test at Nottingham, England have retained the same squad that lost to Sri Lanka two weeks ago plus Ben Stokes, who was one of the few silver linings during the humiliating Ashes defeat in Australia. Again there is no frontline spin bowler, with Moeen Ali and Joe Root expected to handle the duties. Against Sri Lanka, the hosts were guilty of squandering key moments after being in control of the decisive second and final Test, and strike bowlers James Anderson and Stuart Broad were ordinary in the second innings. On the brighter side, centuries by Gary Ballance, Ali and Sam Robson showed that the selectors made some wise choices. Liam Plunkett did well on his comeback and should prove to be quite a handful for the Indians. Anderson and Broad both love bowling at Nottingham – venue for the first Test – and if this pace trio rattle India early, it could set the tone for the series. 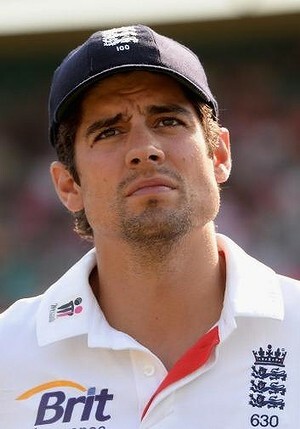 The most worrying issue for England at the moment is captain Alastair Cook. As if his ordinary form with the bat was not enough, his captaincy now has come under immense scrutiny. He has made a healthy number of runs in England’s last two series against India – in 2011, he made a mammoth 294 at Edgbaston while in the 2012-13 away series, he led by example with three crucial hundreds. He will look to draw inspiration from these numbers and desperately get back to making runs at the top. His defensive field placings and ultra-cautious approach has been widely blamed for the defeat to Sri Lanka, and a similar result against India will most certainly be the last straw as far as his captaincy is concerned. The burden of leadership is undoubtedly affecting Cook’s batting. He will look to gain confidence by scoring off India’s inexperienced bowling attack. India – Mahendra Singh Dhoni (captain), Murali Vijay, Shikhar Dhawan, Gautam Gambhir, Cheteshwar Pujara, Virat Kohli, Ajinkya Rahane, Rohit Sharma, Ravindra Jadeja, Ravi Ashwin, Bhuvneshwar Kumar, Mohammed Shami, Ishwar Pandey, Ishant Sharma, Stuart Binny, Varun Aaron, Wriddhiman Saha (wk), Pankaj Singh. India last played a five-Test series in 2002 in the Caribbean, which means none of the current team has ever played in this long a series. No wonder then, that the squad includes 18 players, of which seven are pace bowling options. Pace bowling has been the biggest problem for India over the years, more so in overseas Tests in recent times. Hence, M.S Dhoni’s men have not won a single overseas Test in their last fourteen attempts. The most experienced pace bowler is the inconsistent Ishant Sharma, who is one of the only three players (others being Dhoni and Gautam Gambhir) to have previously played a Test in England. Gambhir makes a return as a back-up to Shikhar Dhawan and Murali Vijay. The middle-order trio of Cheteshwar Pujara, Virat Kohli and Ajinkya Rahane are expected to do the bulk of the scoring. Spinners Ravi Ashwin and Ravindra Jadeja too will find it tough, hence the onus to perform majorly falls on the batsmen. Pace bowlers Ishwar Pandey and Pankaj Singh and all-rounder Stuart Bunny are the potential debutants. Like Cook, Dhoni is another captain who repeatedly gets criticised for being too defensive and rigid. In spite of his woeful leadership in India’s past four overseas series, he continues to be the captain – simply because the selectors do not have any other choice. A five-Test series will test Dhoni and his team to the limit, and Dhoni needs to ensure that he shows the necessary appetite throughout. Two victory opportunities in India’s last two series – at Johannesburg and Wellington – were frustratingly missed due to Dhoni’s ‘going-through-the-motions’ captaincy and the inability of his bowlers to deliver. The Anglo-Indian Test history dates back to 1932, and since then the two countries have faced off in 107 Tests. England have won 40 of them and India 20, with 47 games being drawn. In Tests in England, the hosts have, not surprisingly dominated, winning 27 and losing five out of 52 matches. England have won both of its last two series against India. In 2012-13, they scored a historic 2-1 win in a four-Test series in India while in 2011 at home, they whitewashed India 4-0. In the last ten Tests, England have won six and India two. India’s last series win against England was at home in 2008-09 (1-0 in two Tests). 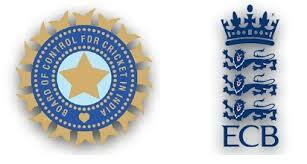 India’s last series win in England came in 2007, when they took a three-match series 1-0. India’s last overseas Test match and series win came in the West Indies in 2011. Since then, they have lost all four series and ten out of fourteen matches, winning none. England’s loss to Sri Lanka meant that they slipped to the fifth position in the latest Test rankings. Prior to their 1-0 defeat to the Lions two weeks back, they were crushed 5-0 in the Ashes down under. Their most recent Test match and series victory came in 2013, when they won the Ashes 3-0. India are placed fourth, two points ahead of England. Their latest Test series result was the 1-0 defeat in the two-match series in New Zealand. In their other two series last season, they beat the West Indies 2-0 at home and lost 1-0 to South Africa, both in two-Test series. Despite a few good performances in their last two series, India’s batsmen remain largely untested, especially in English conditions. James Anderson is sure to make the most of this vulnerability of the visitors. He was the leading wicket-taker in the short series against Sri Lanka with 12 scalps at 21.50, and nearly bowled England to victory at Lord’s with a final-day burst. During India’s last tour of England in 2011, he picked up 21 wickets and repeatedly wrecked the star-studded Indian batting order in tandem with Broad. In the 2012-13 series in India, he displayed his reverse-swing abilities as well, starring in the win at Kolkata. His good record against India and the comfort of home conditions will hold him in good stead, and India will have to do very well to see him off, as he can conjur up a fine spell with the new ball and old ball alike. In India’s past few tours of England, the great Rahul Dravid was the best batsman for his side on many occasions. 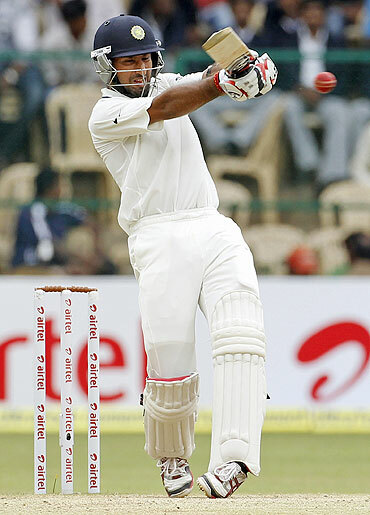 Following his retirement, Cheteshwar Pujara has made the number three position his own. Just like Dravid, Pujara has the technique to adjust his game according to the conditions and also the ability to stay for long at the crease and score big. In his nineteen-Test career, he already has six hundreds and an average of nearly 59. His most recent series in New Zealand was a disappointment – he averaged just 15 – but he is too good a talent to stay out of form for long. His imperious 153 at Johannesburg late last year was an indication of his class, and I believe he will be the key to India’s fortunes as far as batting is concerned. The pitches are not expected to be too bowler-friendly, which could make India’s task of taking 20 wickets even more arduous. In spite of the defeat to Sri Lanka, England are much more capable of sustaining themselves in a long series than India. The result for India will surely not be as bad as 2011, but they will have to be at their best if they are to win a match or two. 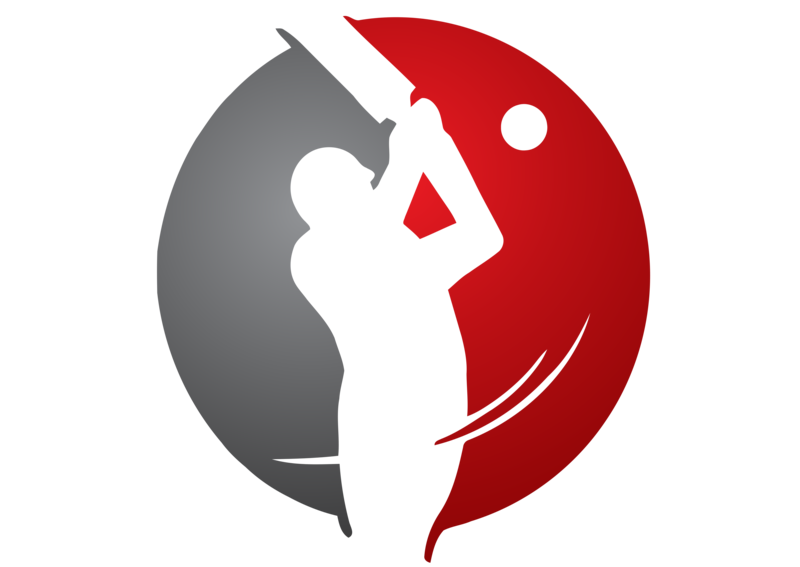 Mainly due to the differences in the two bowling attacks, England will successfully defend the Pataudi Trophy with a 3-1 victory. PreviousVIEWPOINT – Which is the best World Cup format?